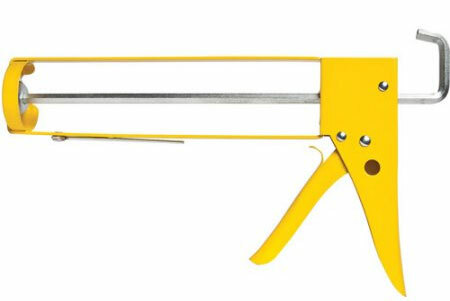 9" Premium Caulking Gun Commercial grade metal Caulk Gun with heavy hex-rod spout cutter, seal punch and wide ladder hook. Heavy gauge paralle bars wrap around end caps giving extra strength. Cut away front cap for easy loading.